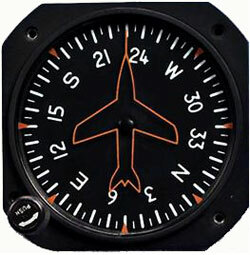 Falcon Gauge Gyros are engineered and manufactured for us using the aircraft. Every unit is quality made and priced for the kit plane market, making them the perfect choice for using on experimental aircrafts. 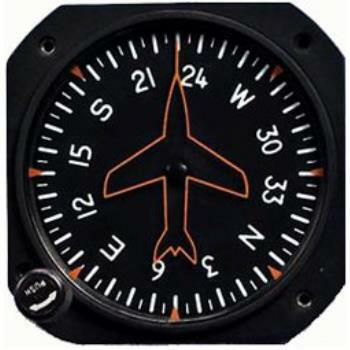 Directional Gyro is a gyroscopic navigation instrument capable of providing the pilot with a constant directional reference not subject to temporary errors characteristic of a magnetic compass. The vacuum type is operated by the air flow generated by the aircraft vacuum system while electrical type is operated by aircraft power supply. Low power warning feature on Electrical directional gyro. Dimensions: 3-3/8" x 5-5/16"/134.95mm Weight: 2.25lb/984g. Directional Gyro can be calibrated for use in Southern Hemisphere.